"I guess a lot of it's just lashing out, because I didn't know how to be an artist, and all this time spent alone in the dark in these studios and importing my culture and constant questions. I'd say, 'Well, why is this art? Why isn't that art?'" 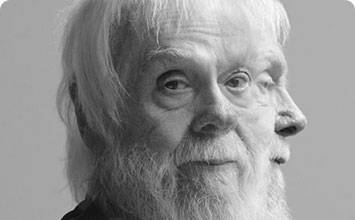 John Baldessari is renowned as a leading Californian Conceptual artist. Painting was important to his early work: when he emerged, in the early 1960s, he was working in a gestural style. But by the end of the decade he had begun to introduce text and pre-existing images, often doing so to create riddles that highlighted some of the unspoken assumptions of contemporary painting - as he once said, "I think when I'm doing art, I'm questioning how to do it." And in the 1970s he abandoned painting altogether and made in a diverse range of media, though his interests generally centered on the photographic image. Conceptual art has shaped his interest in exploring how photographic images communicate, yet his work has little of the austerity usually associated with that style; instead he works with light humor, and with materials and motifs that also reflect the influence of Pop art. Baldessari has also been a famously influential teacher. His ideas, and his relaxed and innovative approach to teaching, have made an important impact on many, most notably the so-called Pictures Generation, whose blend of Pop and Conceptual art was prominent in the 1980s. Baldessari first began to move away from gestural painting when he started to work with materials from billboard posters. It prompted him to analyze how these very popular, public means of communication functioned, and it could be argued that his work ever since has done the same. He invariably works with pre-existing images, often arranging them in such a way as to suggest a narrative, yet the various means he employs to distort them - from cropping the images, to collaging them with unrelated images, to blocking out faces and objects with colored dots - all force us to ask how and what the image is communicating. A crucial development in Baldessari's work was the introduction of text to his paintings. It marked, for him, the realization that images and texts behave in similar ways - both using codes to convey their messages. Text began to disappear from his work in the early 1970s, and since then he has generally relied on collage, but his work has continued to operate with the same understanding of the coded character of images. Typically, he collages together apparently unrelated categories of image or motif, yet the result is to force us to recognize that those images often communicate similar messages. On a visit to the Metropolitan Museum in New York in 1965, Baldessari was struck by the use of unpainted plaster to fill in missing shards of Greek vases. This prompted his interest in how images are effected by having portions removed or blotted out, and he has continued to explore this ever since. Often, the result of his alterations to photographs is to render them generic, suggesting to us that rather than capturing a special moment, or unusual event, photographs often communicate very standardized messages. 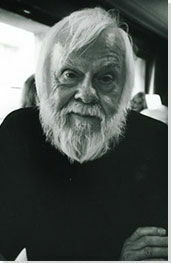 Born in 1931 in National City, California, John Baldessari grew up in relative isolation during the Great Depression. His mother, a Lutheran of Danish descent, was a nurse, and his father was a Catholic from the Dolomites in what is now Italy. His father's entrepreneurial attitude to supporting his family likely had a profound impact on Baldessari's decision to become an artist. His father worked in various trades, from crop-picking to building, and he would recycle and reuse everything from old faucets to cigarettes, cultivating and repurposing as many objects as he could to make money. From a young age, Baldessari would assemble and dismantle his father's materials, questioning why one object was chosen over another. Interactive chart with John Baldessari's main influences, and the people and ideas that the artist influenced in turn.